Bild: Predjamski Grad or Castle Lueg, Slovenija. 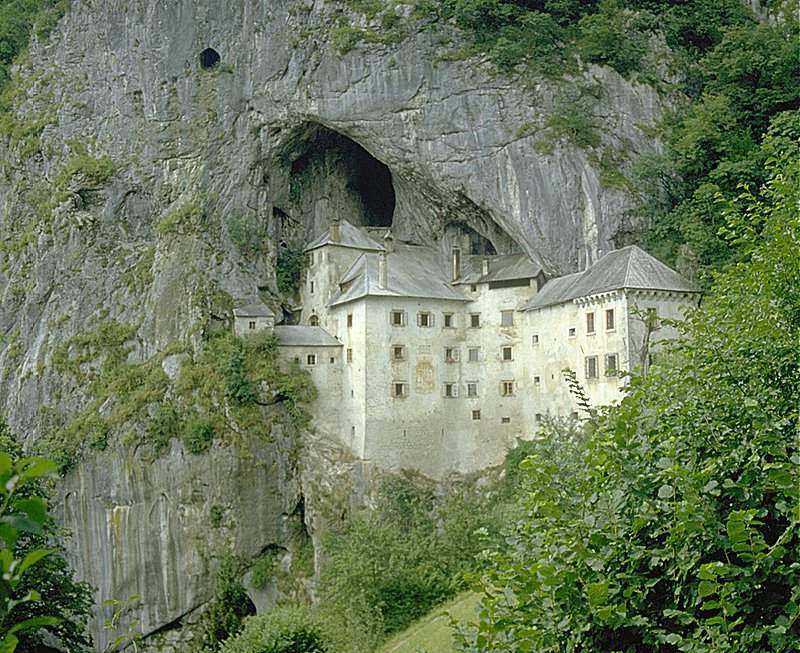 Maybe the most famous cave castle in the World. Caves have ever been a place for man, to hide from weather or enemies. So it seems not unusual, that several castles were built into special caves all over the world, using their extraordinary structure for the security or comfort of the inhabitants. The cave reduces the work to build the castle, as the cave walls replace castle walls. It increases the securitiy, as a mountain is much harder to destroy than a wall. It sometimes allows an escape, as the cave may have an additional entrance. Sometimes it provides fresh water (dripping water or underground river). In many countries it stores warmth in the winter and cooles in the summer, and thus increases the comfort of the inhabitants. So here are some examples of cave castles. Most of them are in central Europe. Predjamski Grad or Castle Lueg, Slovenija. Mesa Verde NP, cliff dwellings, castles and cities of the Navive Americans. Burgruine Schloß im Loch, Germany. Höhlenschoß Puxer Luegg aka Höhlenschoß Schallaun, Austria.